May 30, 2012  The message of outrage over a massacre in Houla, Syria, is now coming from one of Syria's neighbors and allies. January 24, 2012  In the first hour of Talk of the Nation, how the Catholic church has changed over the past decade, and preventing further damage to the climate. 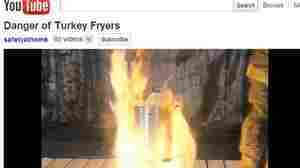 In the second hour, runaway kids, and examining the question, Is Turkey the new normal? December 21, 2011  In the first hour of Talk of the Nation, the political junkie and the Keystone XL pipeline, and job hunting during the holidays. In the second hour, the culture of band hazing, and Turkey's position in the Middle East. 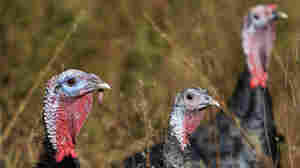 November 23, 2011  Heritage turkey breeds would be extinct if people didn't raise them. And farmers won't raise them if people don't eat them. Breeds like the Narragansett that were close to extinction a decade ago are making a comeback as people choose to go with the darker, gamier meat. November 23, 2011  From the Department of Homeland Security and actor William Shatner come scary warnings about the potential dangers if you dip a still-frozen bird into hot oil. Dirty Ovens: Built-In Seasoning Or Grimy Mess? 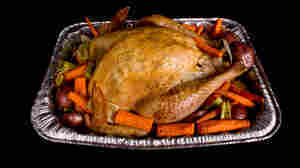 November 19, 2011  Preparing for a Thanksgiving feasts brings a host of extra domestic tasks. 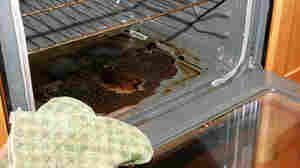 Here's one you might not think about until you go to cook your turkey: how important is it to clean the oven? A Turkish medical doctor carries Azra Karaduman, a 2-week-old baby girl saved today by Turkish rescuers.